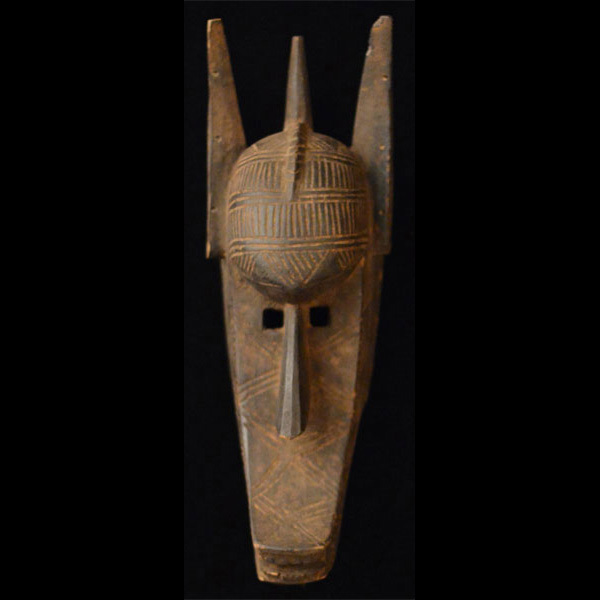 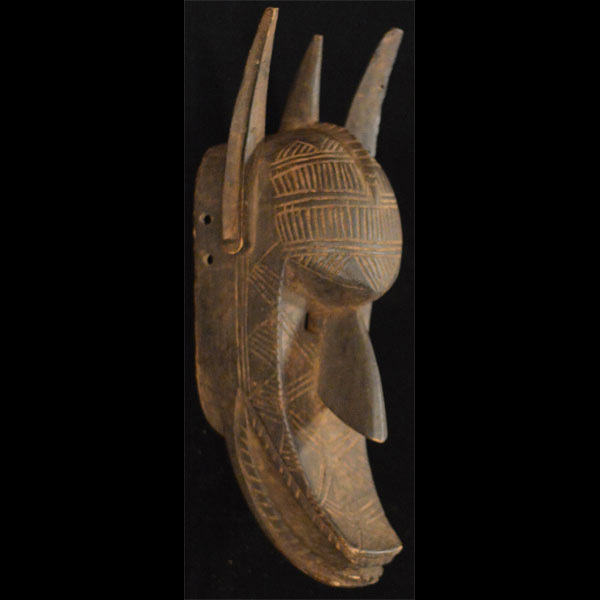 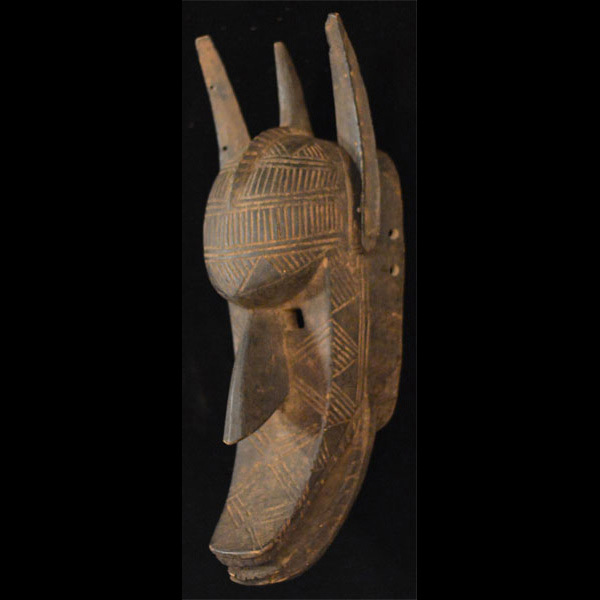 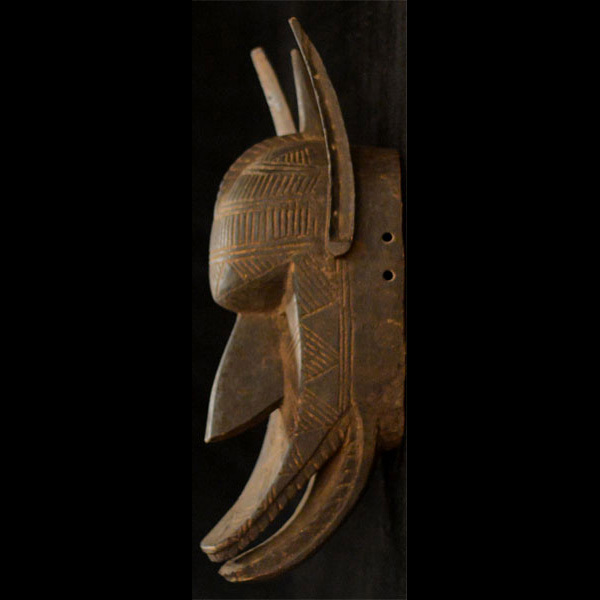 This African mask from the Bambara (Bamana) people of Mali and is hand carved of wood with fine detail and a lovely patina. 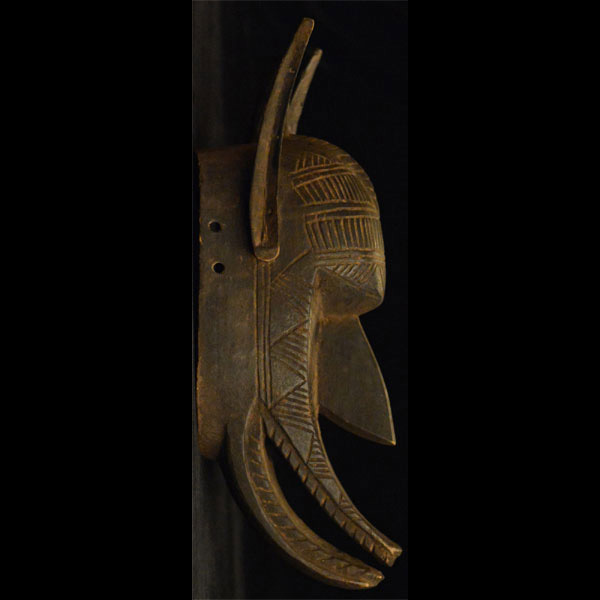 It measures 19 inches tall, and 6.5 inches wide. 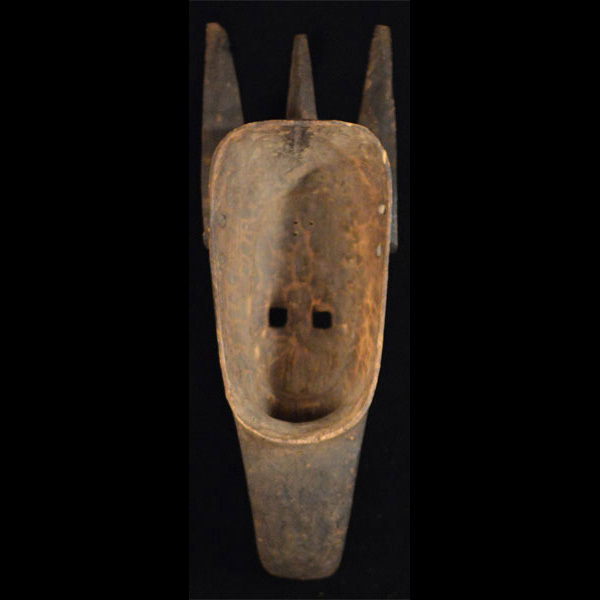 It is thought to be about 70 years old.